A prototype of Gen2 WORLDS BLEND has been delivering absolute power, higher mileage and consistent tuning to Cody King for over a year. RACE Gen2 WORLDS BLEND was put to its biggest test in Argentina at the 2012 Buggy Worlds. Cody made his run from the 1/8 Main, through the 1/4 and Semi, all the way to the A Main! Most engines subjected to this kind of grueling, intense service would be ready for the scrap pile. After the races, Cody’s motor looked new inside! 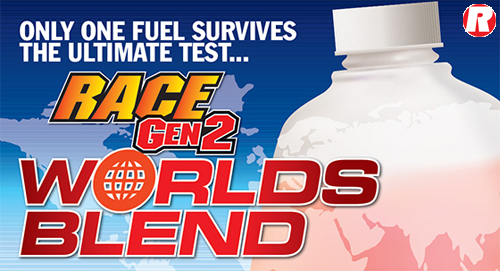 That’s the wonder of Byron Fuels RACE Gen2 WORLDS BLEND.